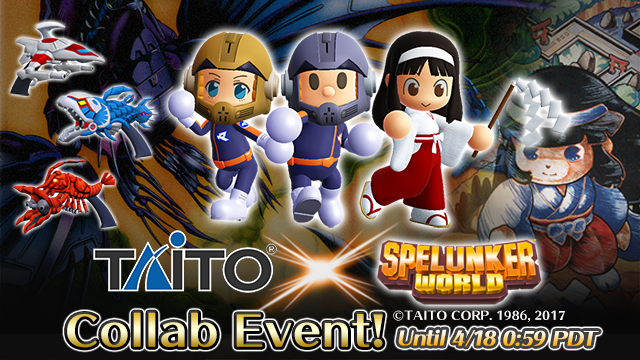 We are reviving the Collaboration Event with Taito's historical games! Get cool fans based on Darius characters in Tunnel of Legend! Collect cool costume of Darius Pilot in the special stage! 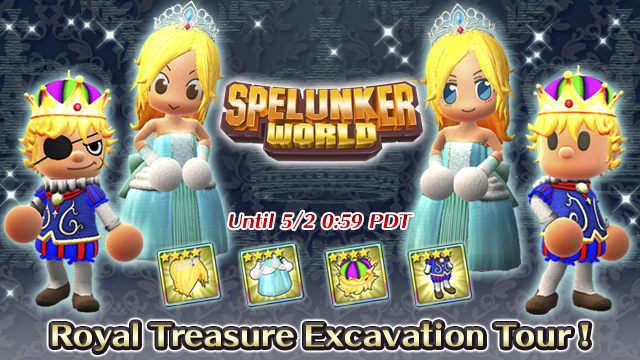 "Royal Treasure Excavation Tour!" is back! 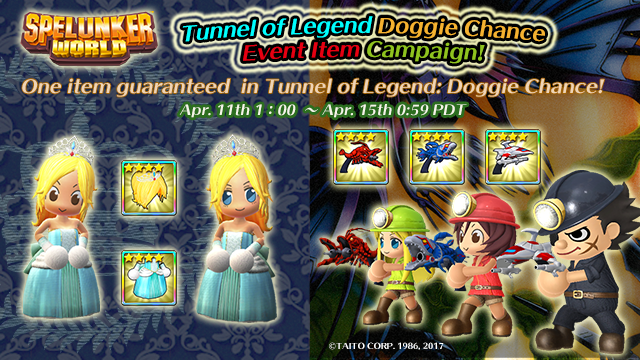 Get the special items in a special stage and at Doggie Digging "Tunnel of Legend"! 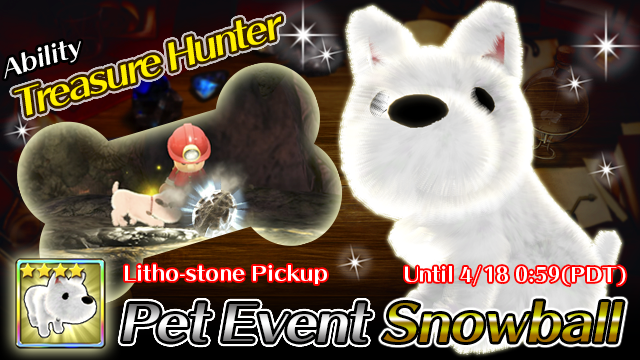 One 4-Star event item from Taito Collaboration Event (2nd half) or Royal Treasure Excavation Tour Event is guaranteed in Doggie Chance at Doggie Digging Tunnel of Legend! Let's all try Doggie Chance! 5. 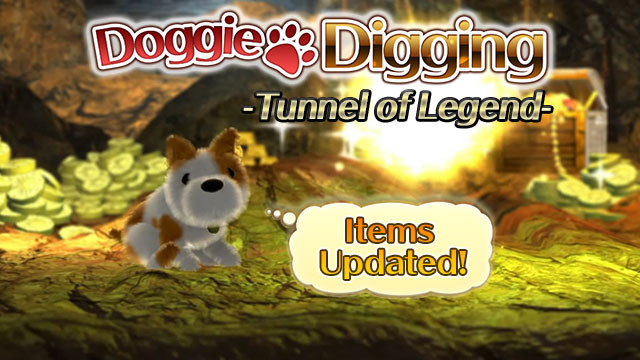 This Week's Doggie Digging: Tunnel of Legend Items Updated! Excavation items in Doggie Digging: Tunnel of Legend have been updated! 4 star items are now easier to get, so don't miss it! You can check the available items from the "Item List" in the "Doggie Digging" screen. Hope you enjoy the game!